A submucosal resection of the turbinate is removal of bone from the lower turbinates. 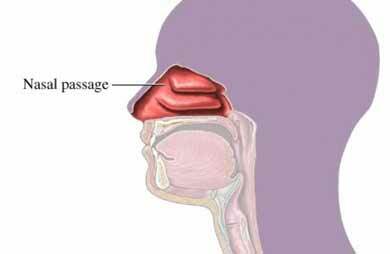 The turbinates are 3 sets of structures that line the inside wall of the nasal cavity. They are made of small bones that are surrounded by soft tissue. These turbinates filter, moisten, and heat air as it enters the nose. Submucosal resection of turbinates may be done in combination with a septoplasty . Your doctor will recommend that you stop smoking up to a month before the procedure. Smoking leads to an increase in scar tissue and poor healing that affects the success of the surgery. A thin, lighted tube will be inserted into your nose. An incision will be made in the soft tissue of the turbinate to expose the bone. A piece of the bone will be removed or shaved down. Excess tissue around the turbinate may also be removed. The tissue may be removed with surgical cut, radiofrequency, or electrical heat. Packing may be placed around the area to help stop bleeding. The feeling of stuffiness is common after surgery because of swelling. Nasal sprays will help keep your nasal passageways moist, clean debris like dried blood, and assist in healing. When you return home, avoid strenuous activities until your doctor says it is safe to do so—probably about 2 weeks. Reduction of turbinates. ENT Consent Patient Resource website. Available at: http://www.entconsent.co.uk/ENTcons/reduce%20turbs.html. Updated October 23, 2004. Accessed December 18, 2017. Septoplasty & turbinate surgery. American Rhinologic Society website. Available at: http://care.american-rhinologic.org/septoplasty%5Fturbinates. Updated February 17, 2015. Accessed December 18, 2017. Turbinate reduction. Johns Hopkins Sinus Center website. Available at: https://www.hopkinsmedicine.org/otolaryngology/specialty%5Fareas/sinus%5Fcenter/procedures/turbinate%5Freduction.html. Accessed December 18, 2017.